Just a couple of quick cosmetic jobs on the scenic front today. 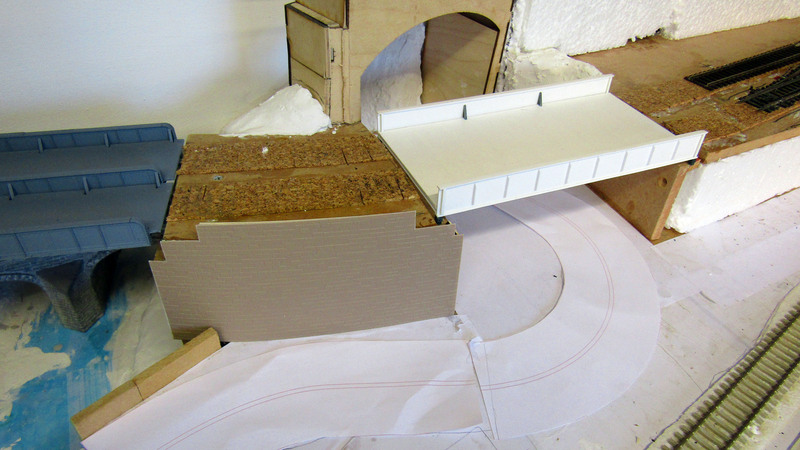 Before I could do anything, I removed the temporary MDF bridge over the road and replaced it with the scratch built through plate girder bridge. 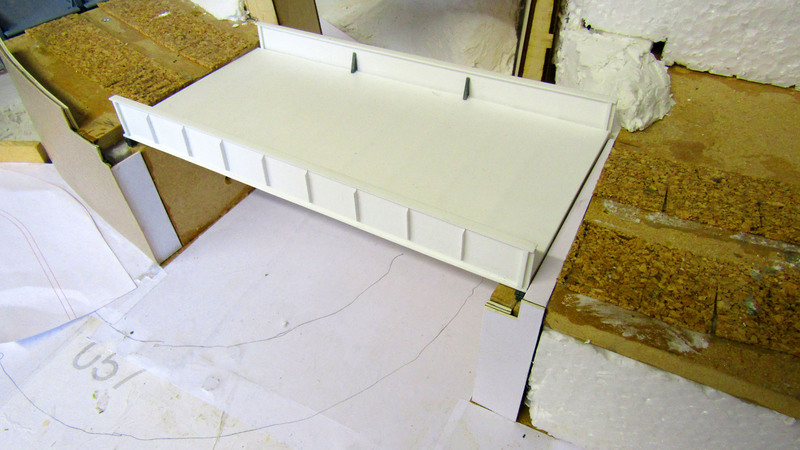 With the bridge in place, I fitted some stone textured plastic sheet to the bridge abutment wall and started to form the rest of the abutment structure with card. There is quite a bit to do here before I can clad the rest in stone texture. This entry was posted in Infrastructure and tagged 1:76thscale, 4mm scale, dales peak, dcc, Faller Car System, model railway, modern image, OO Gauge by Ian Robins. Bookmark the permalink.